Mark utilizes the latest technologies, market research and business strategies to meet your expectations. However, more importantly, he listens and that means he will find solutions that are tailored to you. and to helping you find the perfect property to meet your needs." Anyone interested in real estate in Brentwood or Franklin will find many types and styles of homes for sale in Brentwood and Franklin, as well as community events of interest and local amenities unique to the Brentwood and Franklin area. Others may enjoy outdoor activities and family friendly atmosphere of Brentwood and Franklin . If you are considering buying or selling property, planning to relocate, looking for Brentwood or Franklin homes for sale, or looking for any other information about real estate in Brentwood and Franklin, or the surrounding areas, you have come to the right place. Let Julie Mcleland and the Brewer group help you with your next Brentwood or Franklin real estate transaction. Following is a list of favorite neighborhoods in Franklin and Brentwood. Click on the neighborhood name to see all of the available properties. Abington Ridge located on the east side of franklin with new and almost new homes priced between $450,000 and $600,000 . Annandale - Estate living in north Brentwood. Homes from $900.000 to well over $2,500,000, host of the 2008 parade of homes, with lots in the 1/2 acre to 1 acre size, and homes from 3500 square ft to over 9000 square ft, you have a great alternative the the governors club or laurelbrook. Beech Grove - All brick homes built in the Mid 1990s. Right off concord road just a few minutes east of I-65. Zoned for Edmondson elementary school, Brentwood middle school, and nationally recognized and ranked Brentwood high school. Prices are in the $500,000 to $700,000 range. Berkley walk - A Brentwood community developed by John Wieland. With Homes and townhomes in the $450,000 to $700,000 range, it's one of the more affordable Brentwood neighborhoods with new construction. Located on the east side of Brentwood on Edmondson pk close to Concord road. Qualilty Brentwood real estate at an affordable price. Brentmeade - A luxury Brentwood community at the corner of Wilson pk and Concord rd. Minutes to the YMCA, or Crockett park. Homes from the $600,000 range to over $1,000,000. These are estate homes with 1 acre lots, and up to 6500 square ft. Most of the homes were built from 1986 to 1995 with the best of materials and workmanship of that era. Brentmeade is zoned for Edmondson elementary, Brentwood middle, and nationally ranked Brentwood high school. Bridgeton Park - An affortable Brentwood neighborhood on the east side right off concord rd. Homes range in price from $350,000 to $500,000. The big appeal is the great brentwood school system. Current zoned for Sunset Elementary, Sunset Middle school, and Ravenwood high school. Belle Rive Located on the west side of Brentwood, within walking distance of Granny White Park, Brentwood middle school, and Brentwood high school, it's zoned for scales elementary, Estate homes on acre lots, some with astonishing views range from $600,000 to over $1,000,000. BonBrook on the west side of Brentwood, within walking distance of Granny White Park, Brentwood middle school, and Brentwood high school, it's zoned for scales elementary, Estate homes on acre lots, some with astonishing views range from $600,000 to over $1,000,000. Brenthaven One of the largest neighborhoods in Brentwood, know for 1 acre yards and ranch style homes. Brenthaven was developed in the 1960's and 1970's, a few newer section have opened up and now have estate size homes of 4000 to 7000 square ft.
Brentwood Pointe Condos and Townhomes in the heart of Cool Springs. Located just west of the Cool Springs mall off Moores lan on General George Patton dr. WIth sizes and prices for almost any budget, this is the most affortble Cool Springs locations. Prices start around $160,000 and continue up to $300,000. With sizes and ammenities to match. Brookfield a growing neighborhood in Brentwood, TN. The homes in this neighborhood range in size from 3000+ square feet to 5000+ square feet. Prices range from $405,000 - $680,000 and were built from 1999 - present. These all brick homes have large lots and access to great community amenities including two neighborhood pools. Real estate in this area continues to be in demand. Carronbridge is a community with Luxury Homes in Franklin with sizes ranging from 3500 to 7500 sq ft, Priced from $650,000 to $1,000,000. A fantastic club house, pool, tennis courts, fitness center and quick and easy access to all the great shops and restaurants at the Cool Spring Galleria Mall. Concord Hunt - A Brentwood neighborhood located at the corner of Wilson pk and Concord rd, access to the Ymca, crockett park and an easy commute to Cool Springs mall or Downtown Nashville. .
Copperstone - Located east of the Governors Club off sunset rd, this Brentwood neighborhood features all brick homes in the $500,000 to $800,000 range. Dallas Downs - Dallas Downs is an affordable all brick community on the south side of Franklin. With a tree lined entrance, underground utilities, community pool and playground, Dallas Downs is a great neighborhood for all age groups. Falcon Creek - Affordable single family homes on the east side of Franklin. Falcon Creek is a great place to own your first Franklin Home. Forrest Crossing - a golf course community with townhomes starting at $225,000 and house starting at $300,000. A great opportunity to own a Franklin Tn Home at an affordable price. Franklin Green - An affordable community located on the west side of Franklin between the historic Franklin square, and Westhaven. Fieldstone Farms With prices ranging from $170,000 for a 2 bedroom townhouse to estate homes in a gated community at over $700,000, Fieldstone Farms has something for everyone in Franklin. FountainBrooke A community of custom homes with a new pool and a true neighborhood feel. Walking trails connect this community to Magnolia Vale and Southern Woods. Foxboro - Brentwood real estate on the East side of I-65 at Concord road. 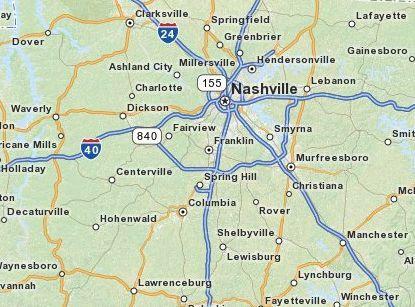 Located just minutes from I-65 and just 20 minutes from downtown nashville, or the nashville airport. Zoned for Edmondson elementary, Brentwood middle school, and Brentwood high school at this time. Homes are in the 3000 to 4000 square ft range, and most were built in the 1980's. The most admired feature is the location and the acre lots mostly with mature trees. Golf View An affordable neighborhood in Spring Hill. ith prices ranging for $170,000 to $220,000. Governors Club Gated security and an Arnold Palmer golf course all in a luxury Brentwood community. hillside views of lakes and golf surround the beautiful neighborhood just minutes away from Cool Springs, nashville, and Franklin. With prices ranging from $600,000 to $7,000,000, you have plenty of luxury Brentwood real estate for choices. Hampton Reserve - Luxury homes from $1,100,000 to over $2,500,000 located in a Brentwood community on Crockett road and Concord road. Laurelbrooke one of Franklin's finest gated communities. With 3700 to 14000 square ft and larger grand designed Luxury Homes. This gated community off of Sneed Rd has a community club house, tennis courts, pool, and fitness center. Legends Ridge is a gated community featuring Luxury European and Estate homes. The community has Clubhouse, Playground, Pool, and Tennis Courts. Prices current listings are all under $2,000,000. Leipers Fork - A small town just west of Franklin close to Natchez Trace parkway. This community has a very rural feel but it's just a few miles from franklin. MAGNOLIA VALE - Located on the east side of Brentwood close to BonBrook and the Governors club. Custom estate homes in the $1,000,000 range. Mckays Mill in Franklin has it all, shopping, olympic size community pool, great club house. Single family or townhouse there are many fantastic choices here back alley driveways and garages keep the street scape open. Newport Crossing A John Maher Builders neighborhood close the the new longview elementary school and the new Williamson county recreation center. With homes priced from $150,000 to $300,000 and in size from 1300 sq to 3400 square ft. It one of the more affordable communities in Williamson county. OakHall- A Brentwood community locatd on the east side of I-65 close to Ravenwod high school. Brentwood real estate priced from $450,000 to over $600,000. Raintree Forest A brentwood community located on Crockett rd, close to Woodland Middle and Elementary schools, Crockett park, and Ravenwood high school. Homes range in price from around $360,000 to over $500,000. Most of the homes were built in the late 1980's until the mid 1990's. A very good value for a Brentwood home. SHERIDAN PARK - Located in Brentwood close to Annandale. Custom homes in a gated community on acre lots. Prices from $950,000 to $1.500,000. Shadow Creek- located on the east side of Brentwood with homes priced from $400,000. Silver Stream - A nolensville community of new homes with prices ranging from $300,000 to over $400,000. Stockett Creek - A gated community on the north side of Williamson county close to LaurelBrooke. Featuring custom estate homes from $900,000 to $1,500,000. Stonebridge Park - Located on the northwest side of Williamson county close to Green Hills. prices from $550,000 up to $650,000. Southern Woods - Located in East Brentwood these homes are priced from the high $200s. This community has a pool and tennis court. Sullivan Farms With homes ranging from $250,000 to over $500,000, this neighborhood is on the south side of Franklin. Taramore - A New community on the southeast side of Brentwood close to Ravenwood high school, on Split log road. 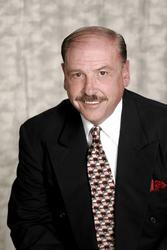 John Wieland 4000 to 5000 square ft and priced from $700,000 to $850,000. With a restored Antebellum mansion as a clubhouse. Wades Grove A John Maher Builders all brick community in Spring Hill. Home prices range $200,000 to $400,000, and in size from 1400 square ft to over 4000 square ft.. A great value and quality construction. Walnut Hills - This older neighborhood is located in Brentwood tn. It has access to a neighborhood pool and the homes are on large lots. Westhaven featuring luxury new homes in a turn or the century style neighborhood with public gardens and grand porch lined sidewalks and street views (golf course in 2009). Prices range from the mid $300,000 range to estate well over $1,000,000. WetherBrooke - A John Wieland community just east of Chenoweth close to Edmondson elementary school. Willowmet - Large homes in east Brentwood boast elegant interiors and flat lots. Windstone - A new gated community located just west of Brentwood high school on Murray lane. Developed by Southern Land company on the land that was previously owned by Eddy Arnold. Custom homes and townhouse start at $800,000 with estate homes up to $4,000,000. A great brentwood location. Winterset Woods - This neighborhood is in Nolensville, but it is zoned to Brentwood schools. WOODWAY Located next to Princeton hills on Franklin rd in Brentwood. Estate homes on acre lots, some with outstanding hilltop views. Most of these homes were built in the early 1990's and now have mature trees and landscaping. Prices range from $1,000,000 to $2,000,000 .